Selling is the life blood of your business – whether you are coaching on the side or a full time therapist or a trainer, you will struggle unless you are really comfortable with selling yourself and your products. We always have a fabulous two days and delegates learn a lot about sales and marketing AND make immediate progress in their business. Do you want to learn how to elegantly sell (& have fun doing it), apply a process that works, and make it easy for someone to buy from you? – Selling can be fun & easy, honestly! One student took £6000 of income in the days after one of our courses!! How much extra revenue would you generate if you increased your sales by 20%, 30%, 40%, 100%, 1000%? – Now does that appeal?! The return on that investment of this course alone could potentially be enormous! How many incremental sales will it take for you to get your money back on this course? – one more client? half a client? Have you ever attended a Sales course? Maybe you’re completely new to selling and you’d like to start off on the right foot. We’ve been asked many times by people already in business to run a course to help them to improve their selling skills so that they can learn how to get more clients – if that’s you, then this course is also for you. We have proven time and time again that by using NLP in sales you can increase performance and revenue AND customer satisfaction. The problem for many people in terms of selling (either a lack of sales or limited sales) is mindset. If you believe selling is hard or no-one will buy from you, guess what …. that will negatively impact on your ability to sell. The thing is, can you afford NOT to do it!? Well, allow me to put all the above into context. Unless you LOVE selling (and you can) then you will not achieve your potential in business. Unless you are confident with selling then your business cannot grow. Unless you become elegant at selling then you may well go out of business. 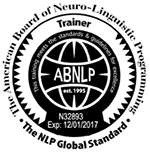 This NLP training delivers exceptional value for money and a potentially massive return on investment. Why Choose An NLP in Sales Course? Do you struggle with selling yourself or products/services? Are you a Coach who is not getting enough business? Are you a Therapist who is not getting enough clients? Do you want to be one of the fortunate few who learn the tools to increase their revenue in 2 days easily and effortlessly? Do you want to increase your income by learning how to sell? Have you not set up your own business because of a fear of selling? Are you a Trainer who is not getting enough delegates? The biggest problem people have when operating a small business is their aversion to sales. Some people think it is a dirty word and some think that sales means pushy. Some think that people will buy from them without sales and some people don’t want to ‘dirty’ their hands with selling! “Fantastic course! I’m leaving the course totally knowing I’m great at Sales (the polar opposite of the I arrive), feel like I’ve learn’t how to use my NLP skills to help me sell more easily and built my confidence selling myself and my services …. can’t wait to get going! We are passionate about sharing how easy selling can be (weather that’s ideas, concepts, products or services). We want to share our knowledge with you so you can generate your own income. To be honest, if you are in business, or want to be in business, and wish to improve your revenue then this course is a no brainer! The investment for these invaluable two days is £500 (inc VAT). 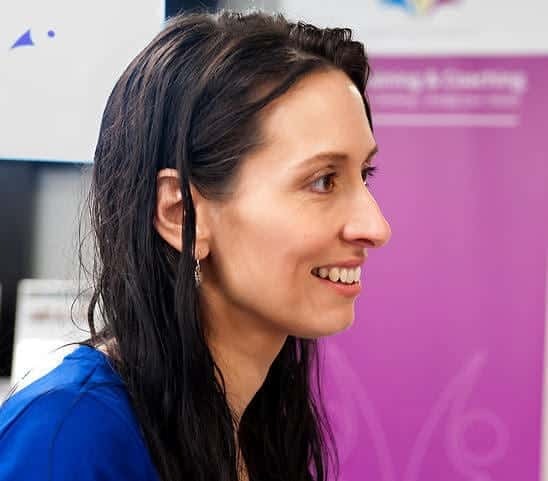 If you wish to book both the How to Start & Run your Own Succesful Coaching Business” course and the “Making Sales Easy with NLP” course as a package you can purchase both courses for £750 (inc VAT). Why book our Making Sales Easy with NLP Course? There are many reasons why people choose our NLP courses. Some choose us for our high standards, quality of our trainers and courses – ‘you explain everything clearly and it’s easy for me to get it’. 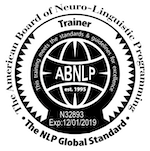 Some book with us because they have been referred to us by previous delegate, or we teach NLP in a way that means you can put things into practice straight away. On this course you take your existing NLP Practitioner skills and use these as the foundation to make selling easy. We spend the morning of day 1 getting your mindset in the right place and then we can teach your how to sell effectively. Unlike many sales courses, this is not a course on how to close – if you sell well the client will close themselves. What will I learn on the Making Sales Easy with NLP course? Understand how much a sales enquiry costs you and how to maximise it! The investment for these invaluable two days is £500 (inc VAT). If you wish to book both the How to Start & Run your Own Successful Coaching Business” course and the “Making Sales Easy with NLP” course as a package you can purchase both courses for £750 (inc VAT). At Unleash Your Potential Ltd we believe in offering our customers increased value when booking additional courses. If you book your Making Sales Easy with NLP course at the same time as another course (such as your NLP Practitioner, Coach or Masters course) you’ll save money. The more you book the more you save!! Contact us for details. Do you offer payment via instalment? What’s included in my course fees? That’s simple, anyone who is an NLP Practitioner, Master Practitioner or NLP Trainer who is interested in improving their sales skills and/or growing their business. If you’re not already an NLP Practitioner, but are interested in becoming a great salesperson, call us to discuss booking your NLP Practitioner and Sales Made Easy with NLP course together as a package. NLP really has transformed many sales people’s performance and it can do the same for you! As soon as you invest we will send out your confirmation of booking. The beauty of this course is there is no pre course study, so you can just join us on the two days and soak up the course content. You’ll find us approachable, helpful and friendly all the way through your experience with us – we can’t wait to see and hear how you can use what you’ve learned to improve your results!